Perhaps part of the uniqueness of Catalan comes from this awareness of its influence on and disconnection from Castilian and European traditions. At first, I was hesitant to write an article on the uses of the Catalan language in literature throughout recent history. After the referendum for Catalan independence held this past October 1, which was deemed illegal by the Spanish government, and the subsequent episodes of violence that occurred in the region, the topic has come to be a sensitive matter for any national. However, where there is a language, there is a literature, and the history of Catalan is one of stubborn resistance. 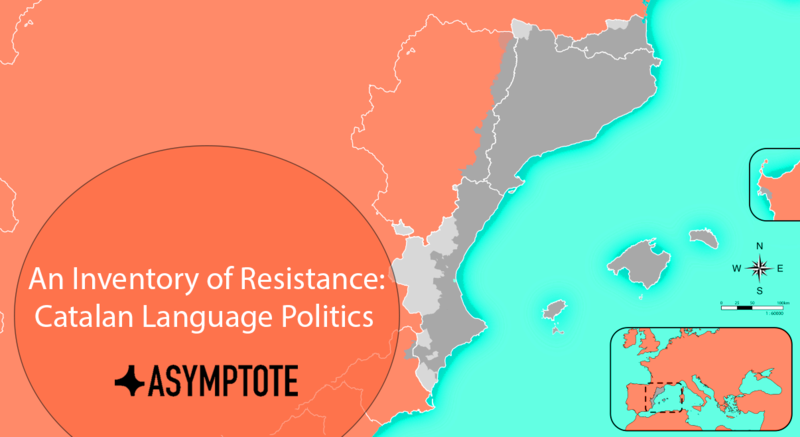 It is my contention that the history of a language is somehow lived out in those who speak it, insofar as a sentiment of ambiguity still informs contemporary critical debates on the usefulness and adaptability of Catalan literature. “Is Catalan literature diverse enough? Can it cultivate all genres? Is it economically viable?” are questions that have resonated among critics and the public alike. Catalan literature inherits a sense of shame from its own fruition, and it is this feeling that I want to explore with this genealogy of usages. This is not a history of Catalan literature and the texts featured here have not been selected according to an aesthetic canon. This is an archive of perceptions of Catalan language and literature as experienced throughout the nineteenth and twentieth centuries, from the literary resurgence known as La Renaixença in Catalan literary history (parallel to which political Catalan nationalism as we know it unfolds) to the relatively normalized literary field in existence today. While certainly not the only appropriate approach, in what follows I present a succession of events from the nineteenth century that Catalan historiography has employed to explain the evolution of the uses of the language.